Get the crackers and veggies ready because this Artichoke Basil Dip is a perfect alternative to boring hummus! Artichokes are number 7 on the USDA's top 20 antioxidant rich foods list and are full of other health benefits. Native to the Mediterranean, 75% of today's artichokes are grown and harvested in Castroville California, which proclaims itself 'Artichoke Center of the World.' 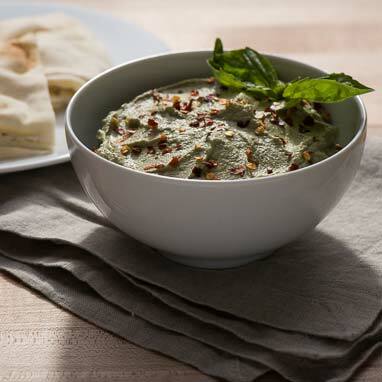 The pleasant and pungent flavor of basil not only complements the flavors of this dip but also adds essential vitamins and minerals such as iron, calcium, and vitamin C, which makes this delicious dip super healthy too!